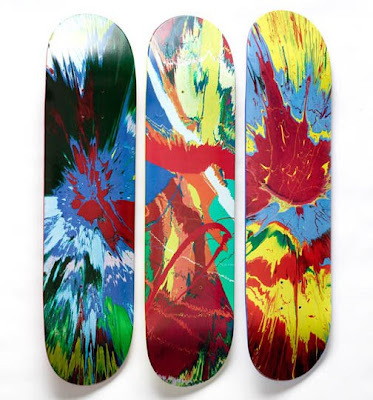 Check out this exclusive skate board deck collaboration from street wear leader SUPREME and English artist Damien Hirst. The decks have really been pieces of art lately. I would definitely throw these up on the wall.